We’ve all experienced a rough landing — either as a (fearful) passenger or a (stressed) pilot. Landings are often the most stressful times during a flight for both passengers and pilots alike, as they are one of the times during the flight when accidents are most likely to happen. If you are a frequent traveler, you may notice that as the plane starts to descend, passengers grip the seat rests of their chairs a little tighter, close their eyes, and once the plane finally lands — clap profusely. In fact, many passengers even admit to judging how skilled pilots are based on how smooth their landing is. So, how do you ensure a smooth landing yourself? Continue reading for four pilot education tips for a smooth landing. Across the board, the number one pilot education tip you will hear from pilot trainers and tenured pilots is that the smoothness of your landing comes down to your final approach. When you have the aircraft going at the right speed, at the right height, and proper configuration, you set yourself up for a smooth landing. On the other hand, if any of these factors are not correct, you will most likely experience a landing that is far from it. A common error many pilots make when landing is flaring at the wrong time. This often occurs because the pilot is looking at the nose of the plane and touchdown zone, rather than the end of the runway. Though it may seem unnatural, looking at the end of the runway means you are better able to sense the height of the plane and your speed. Hold your flare and look at the end of the runway for a gentle landing. As you make your final approach, don’t kill the power until just before the wheels touch the ground. This will give you more control throughout your landing and touchdown and allow you to make any corrections, if needed. Don’t forget — just because your wheels are on the ground doesn’t mean that you have completed a successful landing. After you land, you are still moving at high speeds and are still somewhat unstable. Even though it is unlikely, it is still possible for something to go wrong. For example, you could make too quick of a rudder adjustment at too high of a speed, or high crosswinds could suddenly make your wings airborne again or decenter you. Remember, your flight isn’t over until you have decelerated to taxi speeds. 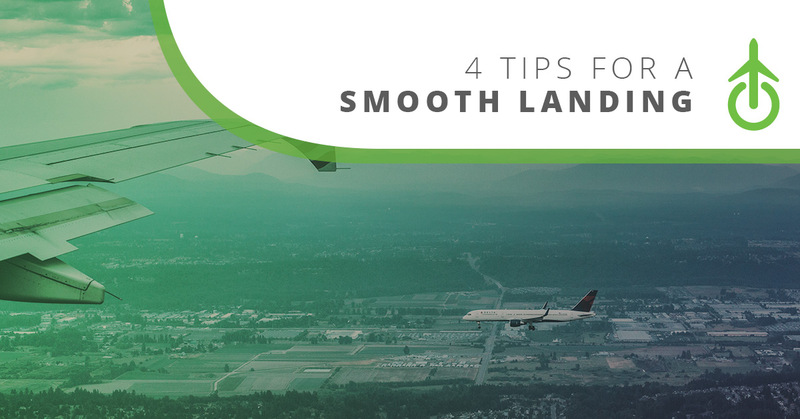 We hope these four pilot education tips will help you achieve smooth, graceful landings each and every time. After all, there is nothing better than having your passengers say, “Nice landing!” at the end of your flight. Are you looking for more pilot tips or to continue your pilot education? Check out CPAT Global’s online aviation courses or contact us today. We look forward to helping you enhance your skills.